Kenwa Mabuni was born in Shuri, Okinawa, Japan on November 14, 1889, and was a weak, frail child. Considered by many to be the “guru” of Karate, he originated the Shito Ryu style, which combines the influences of Shorei Ryu and Shorin Ryu. 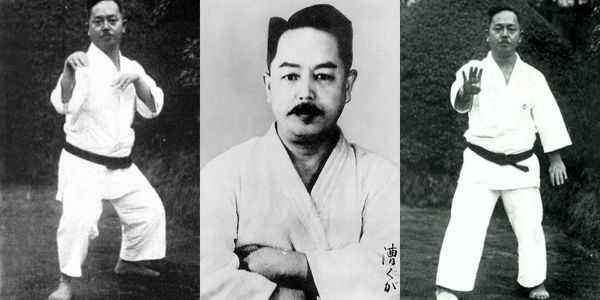 When Kenwa Mabuni moved to Osaka, his style was called Hanko Ryu (half-soft style), before he officially founded Shito Ryu (Funakoshi = Shotokan; Mabuni = Shito; Miyagi = Goju; Ohtsuka = Wado) when the 4 main styles of karate were introduced to the Dai Nippon Butokukai. The word Shito was Mabuni’s way of honoring his two greatest teachers: Higashioona [shi], who taught Naha-te style, and Itosu [to], who taught Shuri-te style. 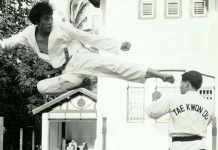 Mabuni first trained with Itosu, from age 13 to 27, with whom he became proficient with such weapons as the bo and sai. At 20, Mabuni began to train with Higashioona of Naha, a shorei-ryu master who brought from China most of the Naha-Te kata (kururunfa, seiun chin, so chin.) popularized by Goju Ryu. Kiyoda Juhatsu, a student of Miyayi’s, was one of 3 men in history to train with two leading masters of the art at their time. The other to men to train with these masters were Toyama (1888-1966) and Gusukuma Shimpan (1890-1954). 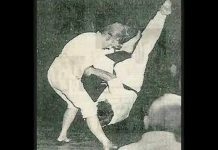 Mabuni also trained under Arakaki. In 1913, at the age of 23, he joined civil law enforcement and became a detective. Then he met Arakaki Seisho, who did a lot of traveling as an interpreter for the Government, and his student Tuuji Pechin (1840-1920), who taught Higaonna. During his travels Arakaki learned Niseishi and Unsu from the Fuzhou Province and brought them over with him. 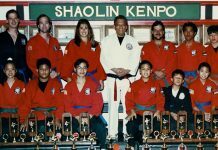 Pechin first taught Higaonna before he moved to Kojo. (Kojo family – Matsuhiga). Kenwa Mabuni also studied with Suishi and Tawada. 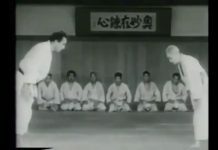 In 1927, Mabuni demonstrates karate for Jigoro Kano, the founder of Judo. The ranks in karate came from kendo and the belts ranking system and gi (uniform) came from Jigoro Kano. At 37 years of age, Mabuni opens his first dojo. He founded it with Choyun Miyagi, and called it the Chinese Martial Arts Research Society of Okinawa. 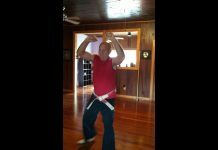 His home was considered a mecca for karate. Choyun Miyagi was the founder of Goju Ryu. 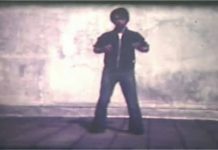 Kenwa Mabuni’s synthesis of the teachings of many of the greatest martial artists of his time resulted in an extraordinarily extensive system of 54 kata. His system was passed to Kuniba Sr., who taught Kuniba Jr., who taught Chuzo Kotaka, who taught Sensei Castilonia, the founder of our Aoinagi School. Fumio Demura-Sakagami Ha, Minobu Miki-Hayashi Ha and Mabuni’s two sons Kanei and Kenzo among others, carry other branches of Shito Ryu forward. These compose the branches of Shito-Ryu today. Mabuni studied and analyzed many, many kata and he wrote many books on kata (in Japanese). Kenwa Mabuni died on May 23, 1952, in Tokyo, Japan and was succeeded by his sons Kenei and Kenzo.